Anti-pollution beauty care is the latest trend, fact. Just type the phrase into your browser. Hundreds of articles pop up, and about as many beauty products pop up in the results pages. From face wash and toner, all the way to oils, mists, sun creams and even some makeups offer this kind of protection from the grim congestion outside. Well, did you ever think your hair might need a bit of help in keeping pollution-free? Atmospheric pollution does a heck of a lot of damage – damage that is difficult to spot because it happens so gradually. What exactly does pollution do to your hair? All of those shine-up serums and sprays might help for a while, but pollution is proven to be the reason hair loses its wonderfully natural shine. Because the pollution alters your hair fibres, combing gets more difficult. Air pollution has a way of making your hair more fragile and removes its natural elasticity. Your hair colour starts going yellowy or gets a warmer undertone than you might have wanted. The diagnosis isn’t great. Thankfully, there are some trend-setting hair folks out there that have an answer for our poor, sad locks. 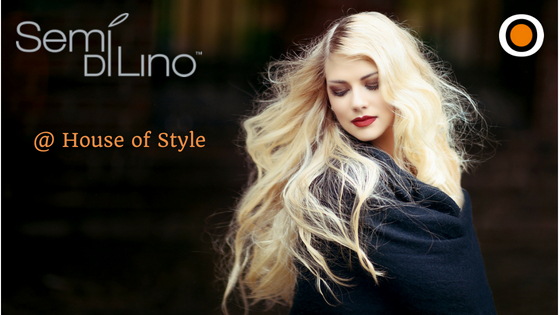 Alfaparf Milano has come out with a superb-smelling, shiny-making, hair rejuvenating anti-pollution range of linseed-based hair treatments and products that we have absolutely fallen in love with. The innovative technology used to create the newly released line promises a sort of shield of macromolecules that protect your hair from being penetrated by toxins and stops it from yellowing. Not to mention that your hair will genuinely be softer and stronger. Did we mention that it smells unreal? There’s only so much we can tell you here, though. You’ll have to pop down and check their newly released anti-pollution range out in the salon.